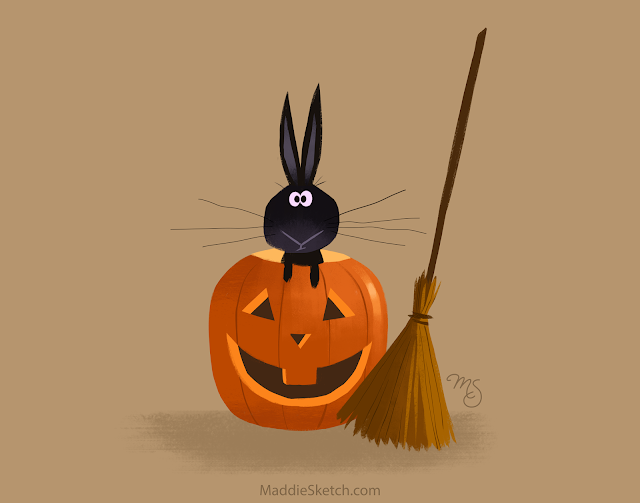 Fall greetings and friendly nose "boops" from Spock the bunny. My husband and I have had a bunny since June now. He owns everything his chin has ever touched, he leaps on couches like an olympian, he eats like a horse, and we love him. He loves you too, and will kindly taste take your shoes for you. You're welcome. Visual Development Artist at DreamWorks Animation TV. Past Director/Art Director at Six Point Harness.